An effort to undo a new work-requirement in the state's Medicaid expansion program went before lawmakers today. The work requirement was part of a bipartisan compromise that re-authorized expanded Medicaid last session. Starting next month some Medicaid Expansion recipients will need to complete 100 hours of work or volunteer work each month or risk losing their health coverage. Democratic Representative Rebecca McWilliams is sponsoring a bill to strip that work requirement out of the program. She told a committee of fellow lawmakers Wednesday the requirement will penalize New Hampshire residents who are already struggling and could even put them at serious health risk. “If you get kicked off the program, you're not seeing your PCP anymore, you're not involved, you could die. And I think that's serious,” said McWilliams. She also argued that as a first-year lawmaker she isn't beholden to that bipartisan compromise which approved the work requirement last session. Meanwhile state Republicans issued a statement saying they will strongly oppose the bill, as well as another bill in the Senate that seeks to alter the work requirement. State lawmakers are pushing back against changes made by the Trump administration to a new work requirement in the state’s expanded Medicaid program. Members of the committee that oversees administrative rules unanimously objected to the changes the Trump administration introduced when it approved the work requirement for Medicaid expansion last month. 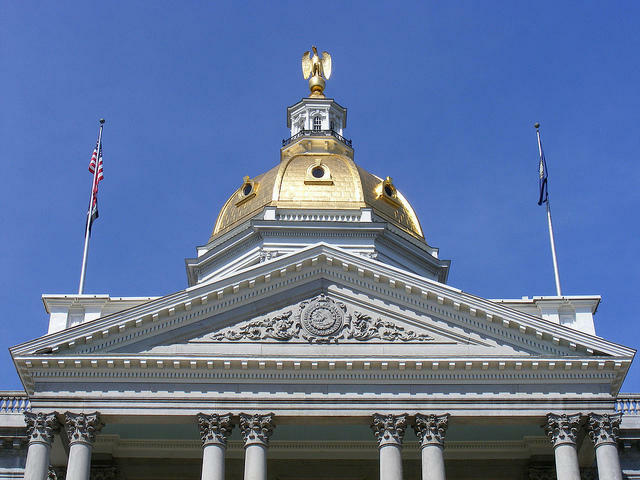 The federal Centers for Medicare and Medicaid Services has approved a request by the state of New Hampshire to implement a work requirement for some Medicaid recipients in the state. The new rules will require certain Medicaid recipients to log at least 100 hours a month in qualifying activities, including but not limited to holding a job, going to school, or participating in community service. Certain populations, like people participating in a drug court program, or the parent of a dependent child with a disability, are exempted from the work requirement.